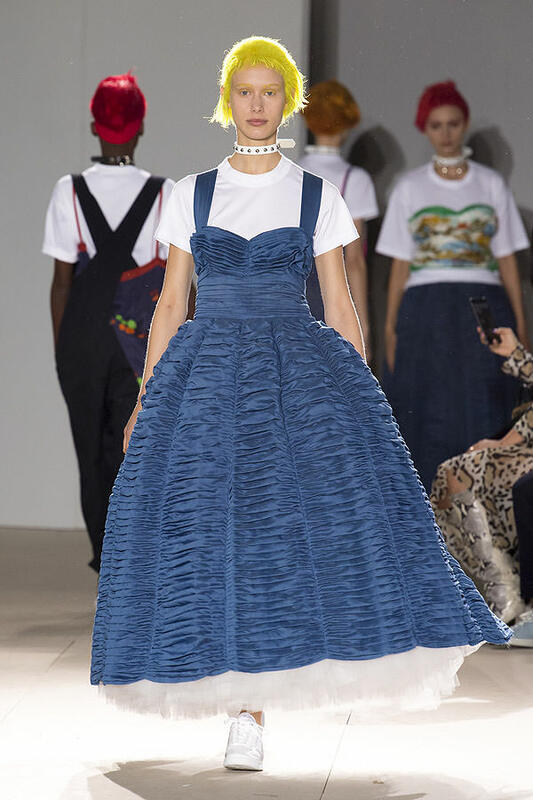 Though the show was almost in the suburbs, and at 9:30 am, the mood was instantly lifted with the opening bars of Queen’s Bohemian Rhapsody this morning. 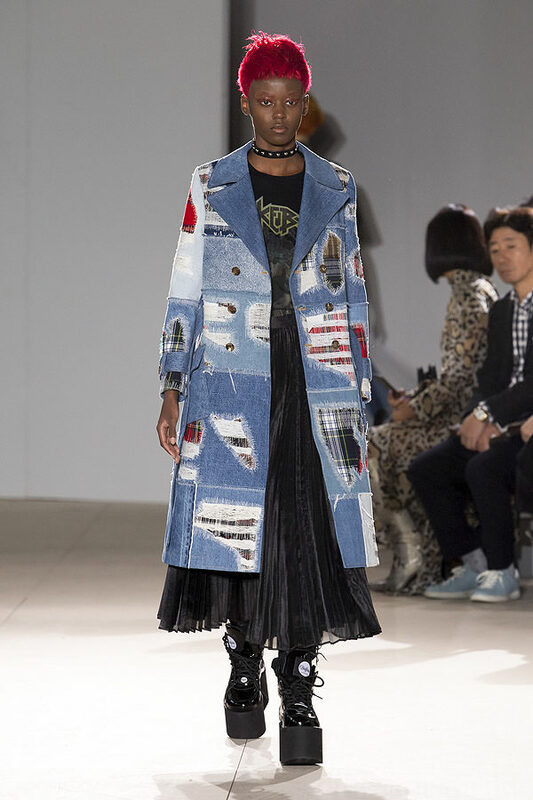 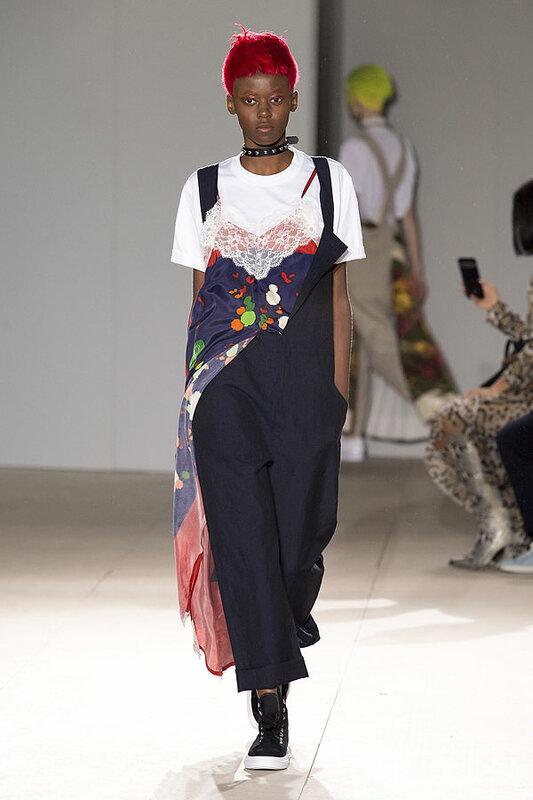 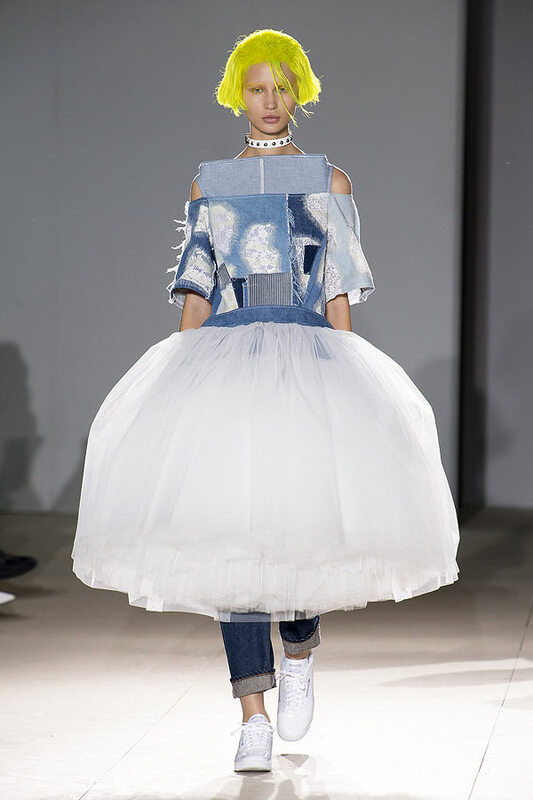 And spirits stayed up the whole way through as Junya Watanabe treated us to a particularly playful spring collection. 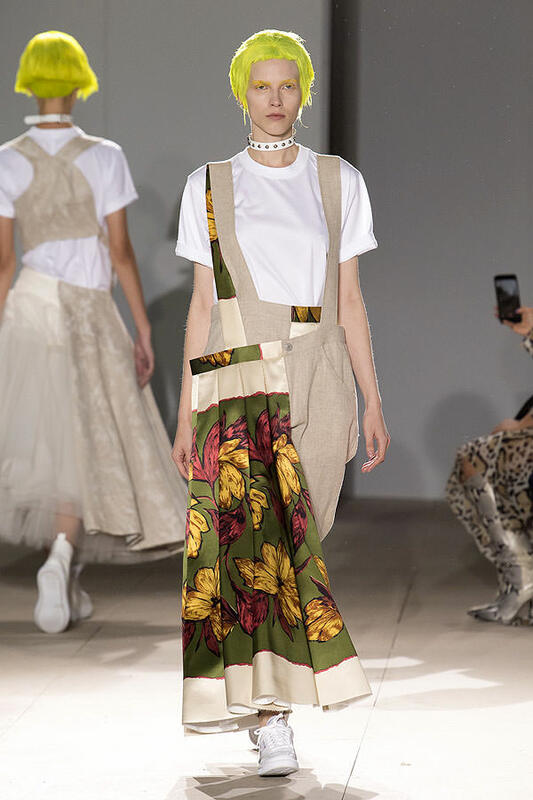 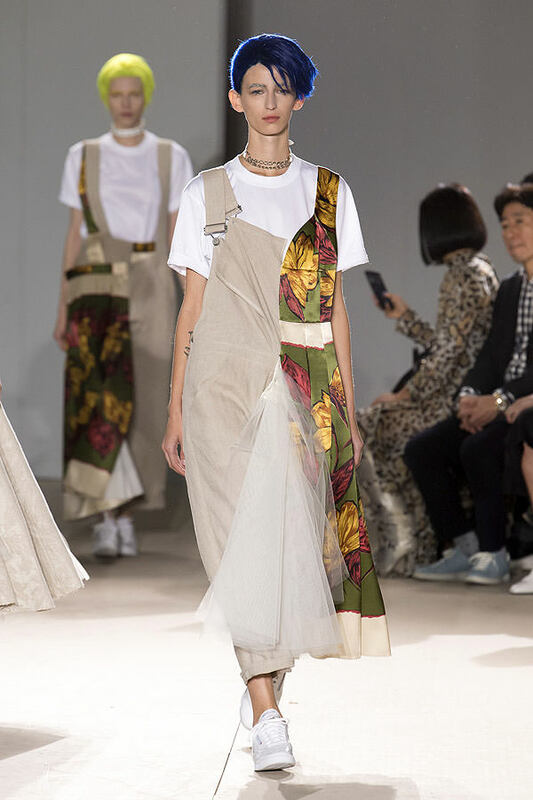 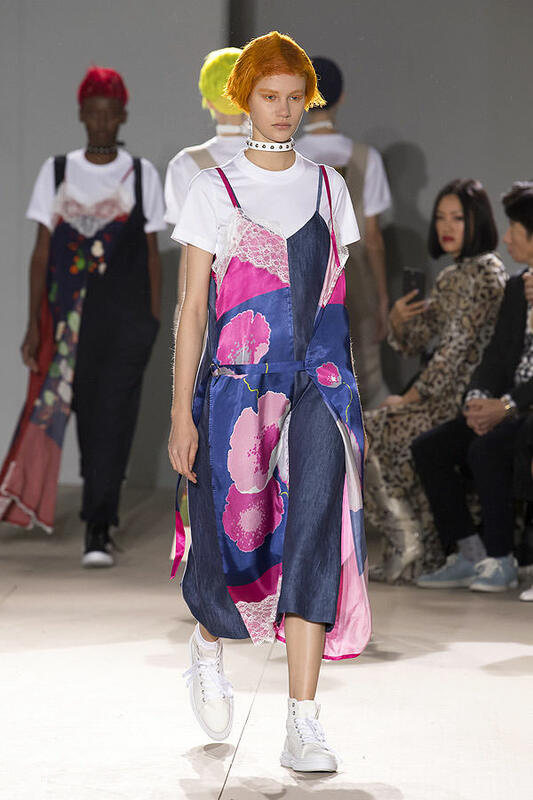 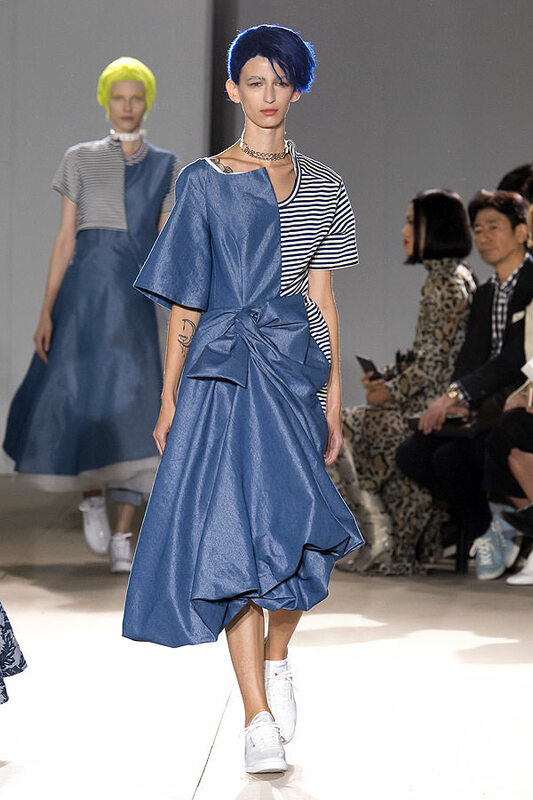 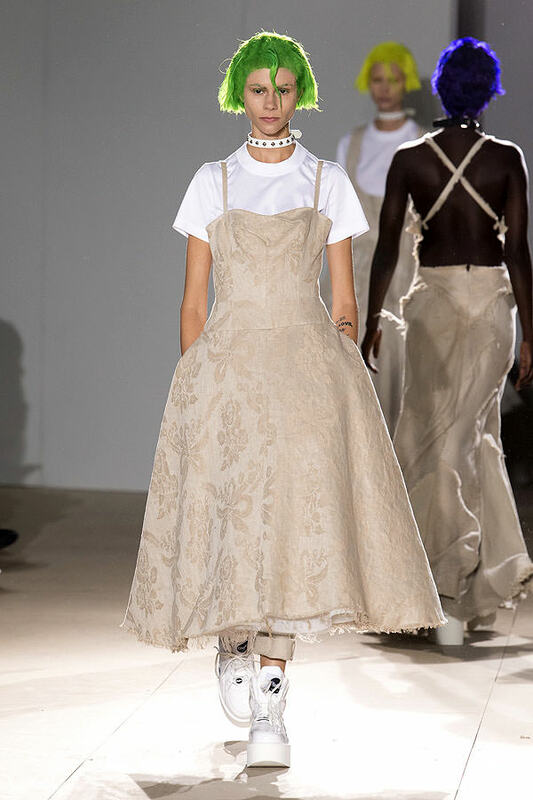 In a borderline tongue-in-cheek move, Watanabe addressed several trends of the season — namely, genderless and couture — with his own brand of Victor-Victoria, or rather Tomboy-cute-rock. 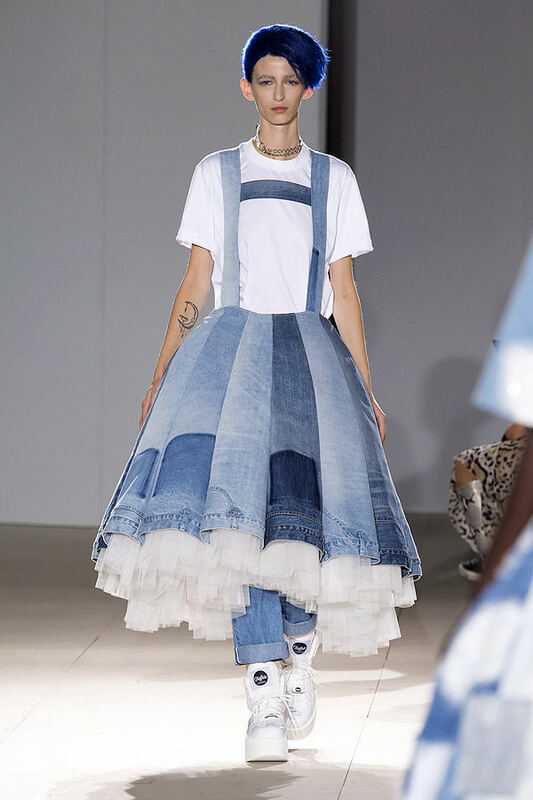 His girls were both fierce and cute: All neon mop tops, fake tattoo body suits, stack shoes, ripped denim, and dog collars. 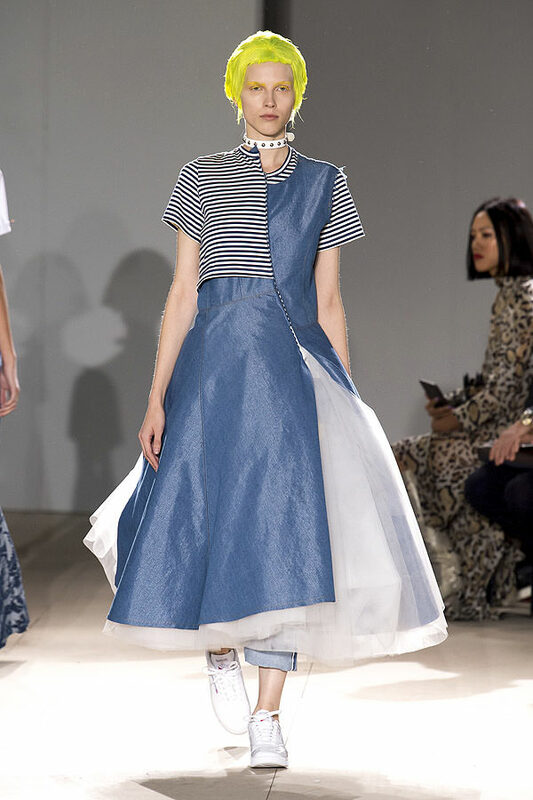 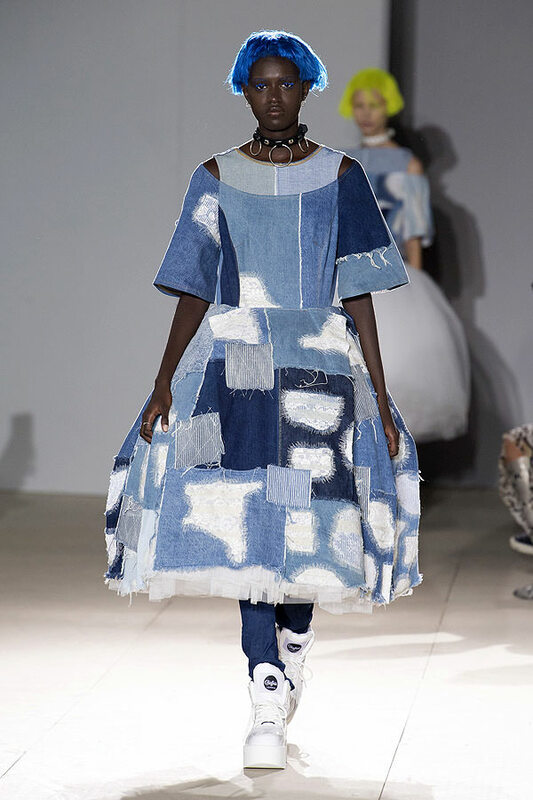 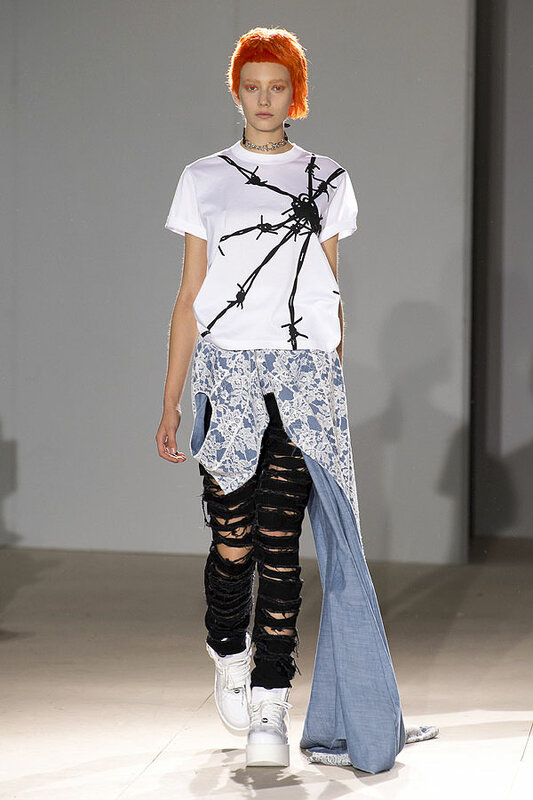 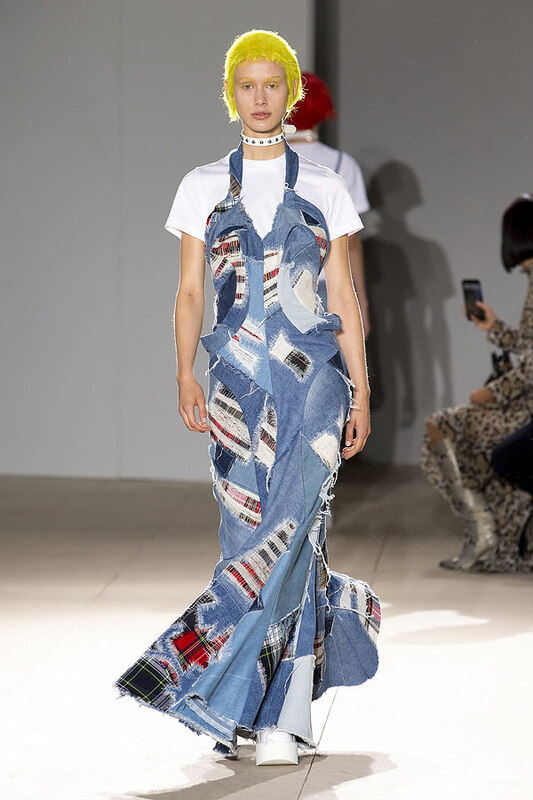 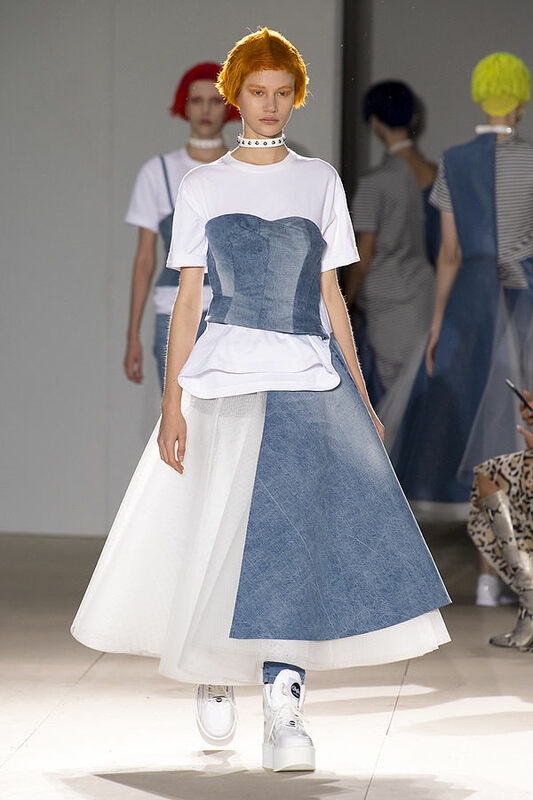 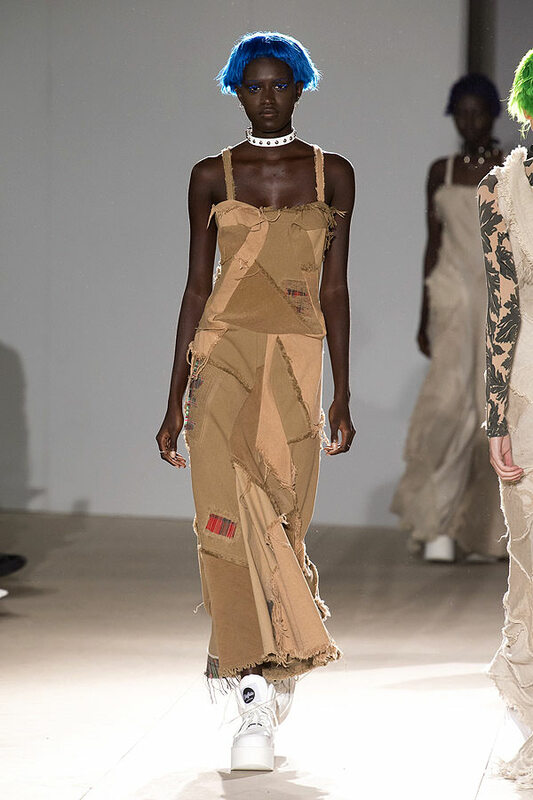 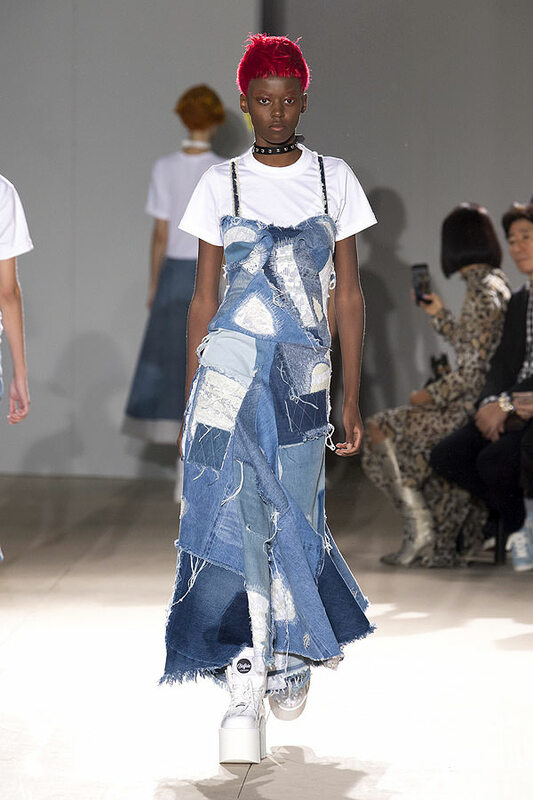 His masterful cutting gave us some of the most original denim we’ve ever seen (a category that he has already mastered for some time) as ball gowns and pinafores met dungarees and boyfriend jeans. 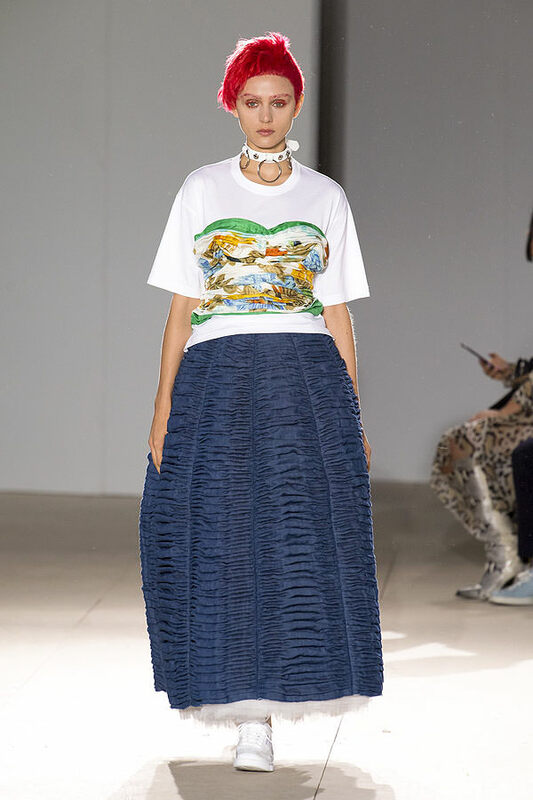 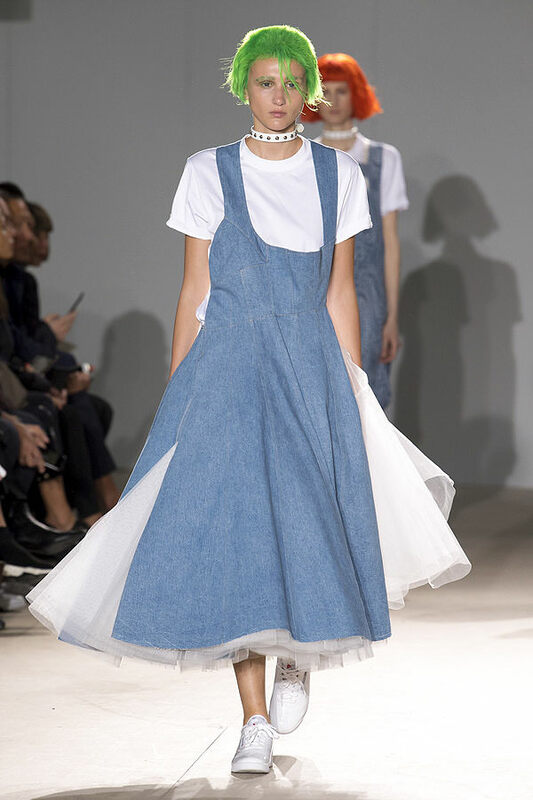 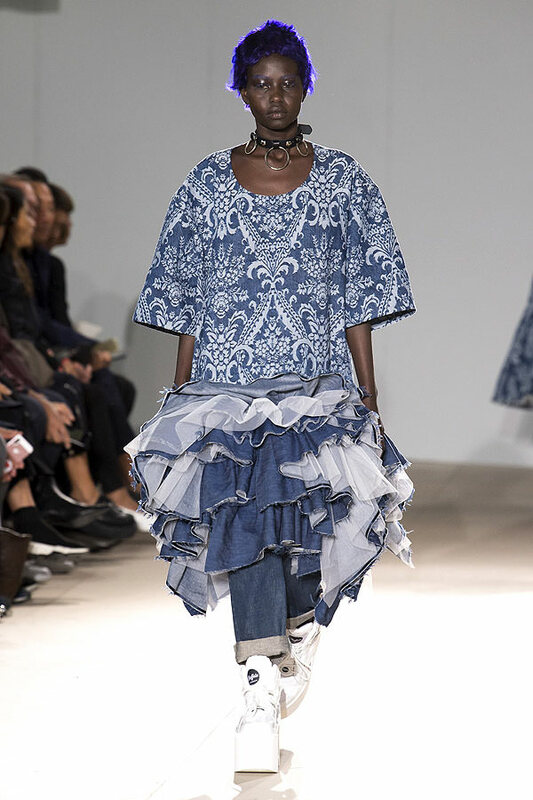 Watanabe may have singlehandedly created the Dunga-dress today. 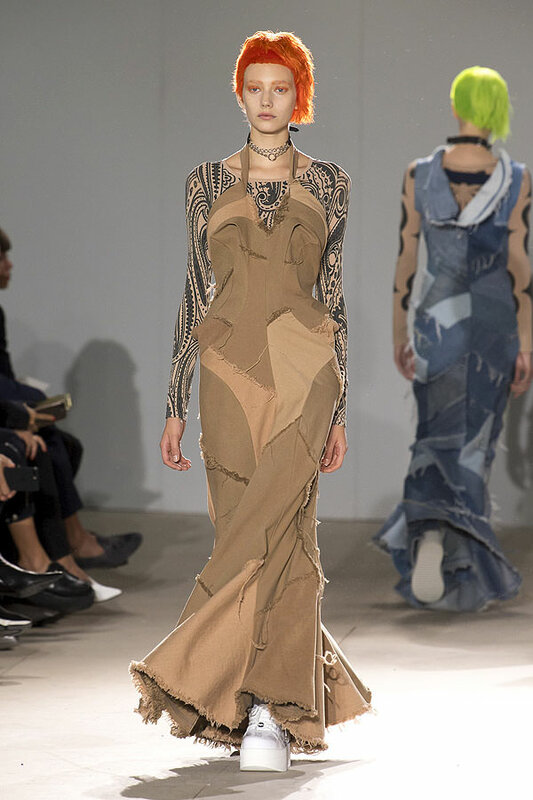 That is not to say that he treated us to fanciful hybrids, there were many newly fashioned garments that were simply beyond categorization. 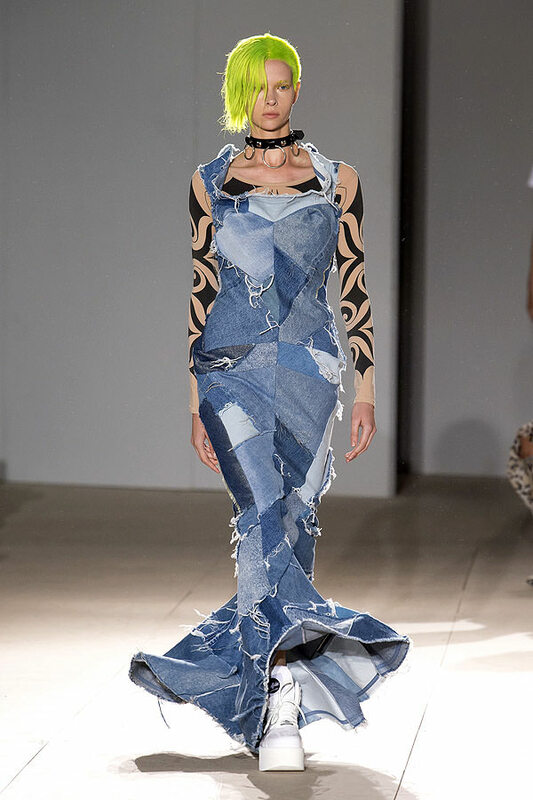 The attention to detail in the denim patch-working alone was of a Japanese boro standard, exemplifying the ancient art of wabi-sabi. 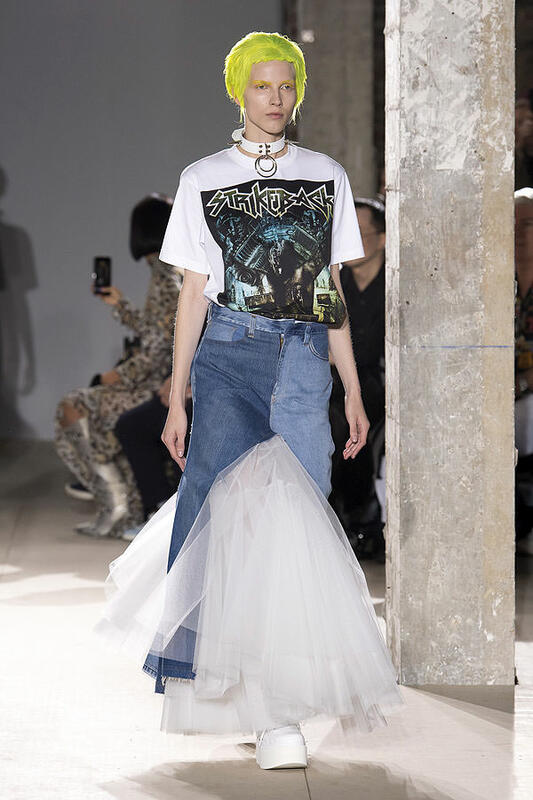 If the smiles on the faces of the female, and several male, fans in the audience were anything to go by then the collection is sure to be another surefire winner on the shop floor.